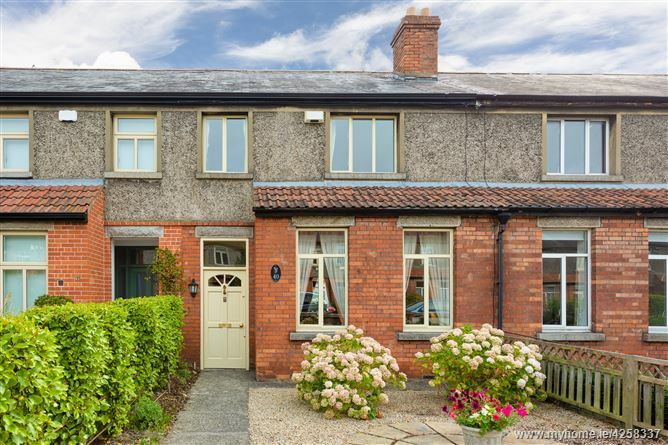 A charming 4 bedroom terraced house with the added bonus of a double garage to the rear located in this popular Dublin 6 neighbourhood just minutes from Rathgar village. 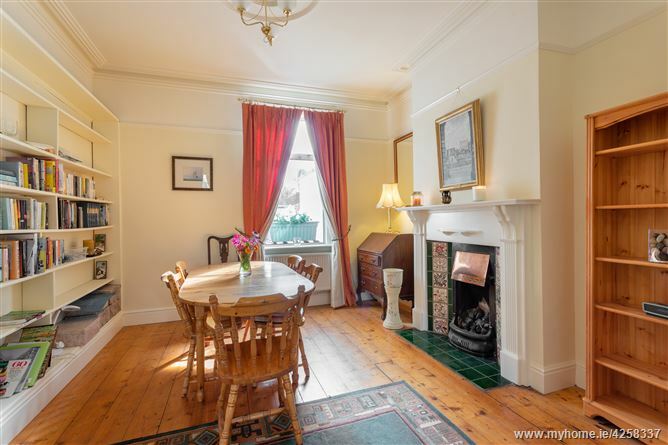 Dating back to 1927 (George V era) this appealing home has been well maintained over the years with very comfortable accommodation throughout and offers further flexibility for expansion if so desired (subject to the necessary planning permission). 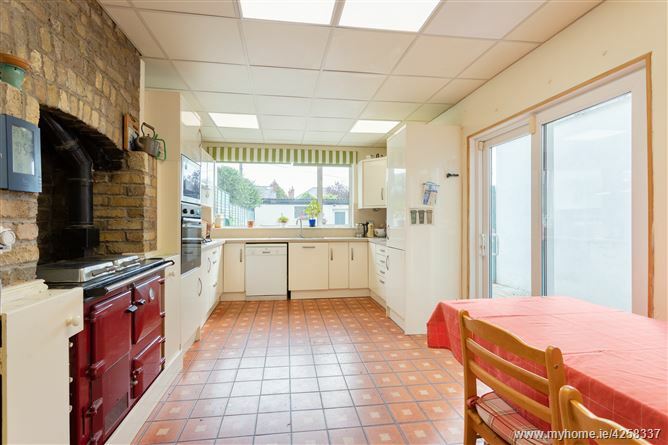 Featuring well proportioned rooms with good dimensions and high ceilings and also the benefit of a Rayburn range in the kitchen which adds warmth and atmosphere throughout the house. 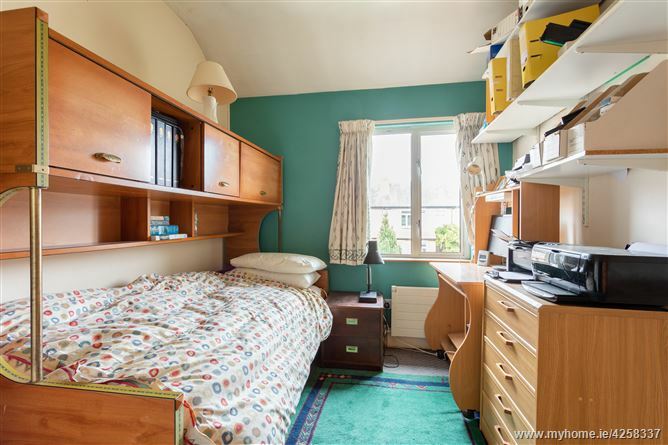 The property is well situated within walking distance of local shops and speciality stores in Rathmines and Rathgar and also within close proximity to a choice of schools, local transport and parks. 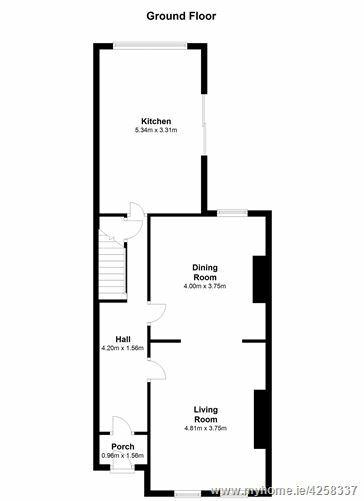 Total floor area: 125 sq m / 1,345 sq ft.
Large garage / workshop to rear. 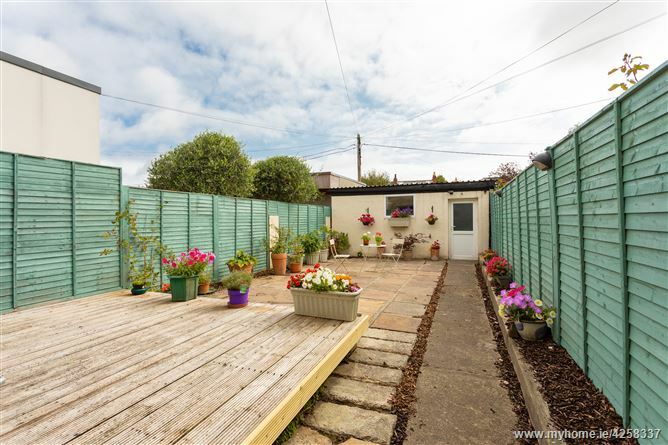 easily maintained garden with south east aspect. 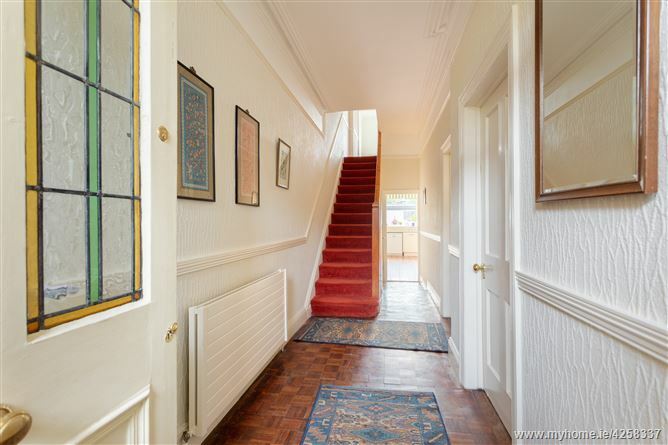 Elegant Hallway 4.2m x 1.56m stained glass door, hardwood floor, ceiling coving. Downstairs WC with whb & mirror. Tiled walls and floor. 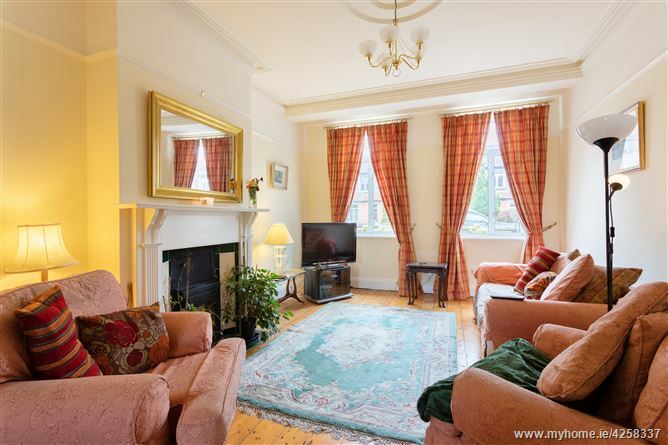 Drawing room 4.81m x 3.75m pitch pine flooring, attractive fireplace with wood burning stove and tiled inset, picture rail. Ceiling coving. 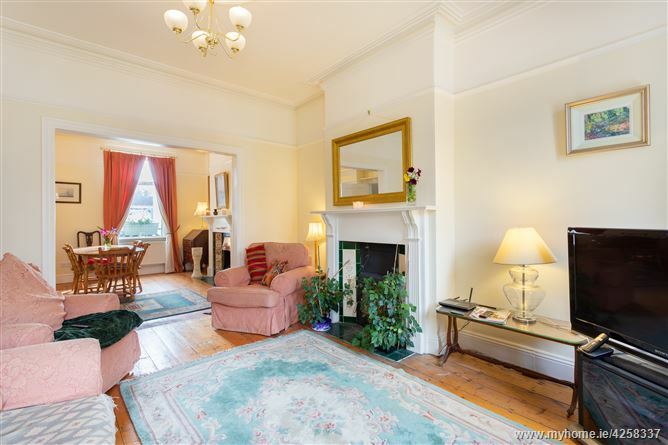 Dining room 4.00m x 3.75m with built in book shelving, pitch pine flooring and feature ornate fireplace with gas fire. 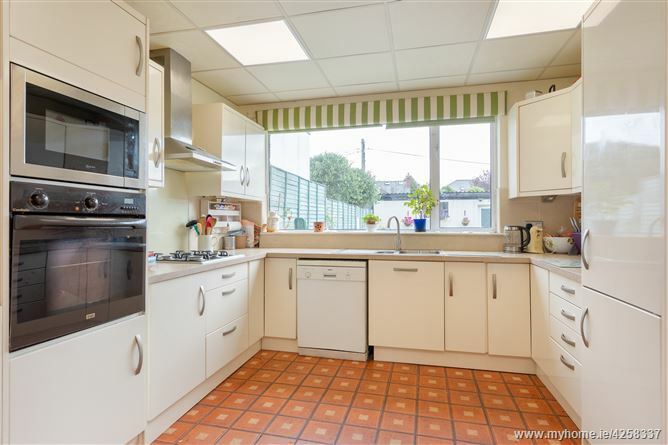 Kitchen 5.34m x 3.31m Rayburn range (gas fired) with exposed brick surround hearth, range of wall and base units incorporating eye level oven, extractor fan, gas hob, dishwasher and fridge freezer. Tiled walls and floor. Sliding door to garden. 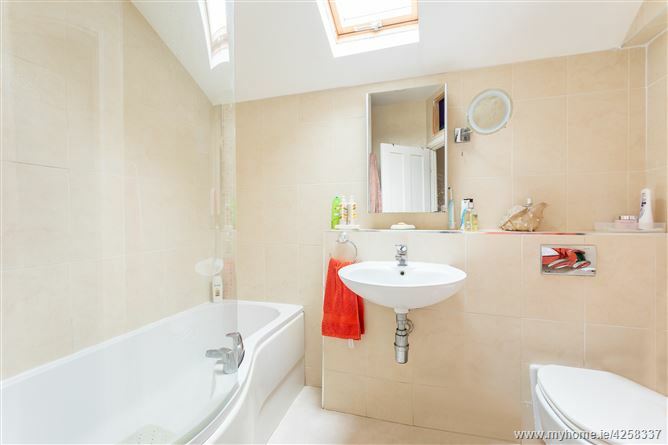 Bathroom 2.48m x 2.37m with whb, wc and bath with overhead shower. Medicine cabinet and tiled walls and floor. Velux roof window. 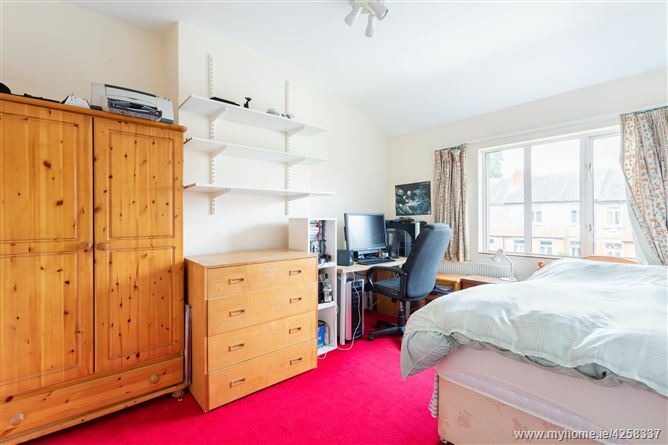 Bedroom (1) 3.28m x 2.60m with dressing table / desk. 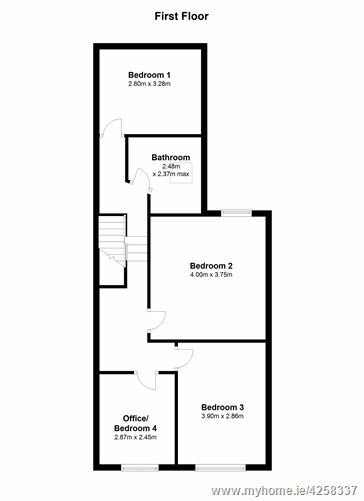 Master Bedroom (2) 4.00m x 3.75m with range of built in wardrobes, overhead presses, mirror and dressing table. 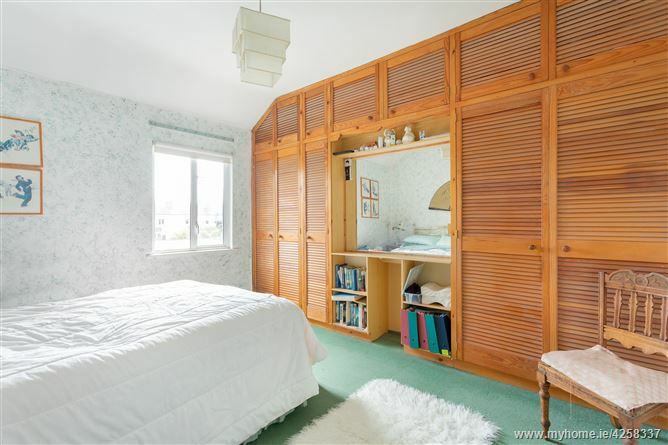 Bedroom (3) 3.90m x 2.86m fitted shelving. Bedroom (4) / Office 2.87m x 2.45m fitted shelving and built in shelved wardrobe. Front garden 6.78m x 5.56m maintenance free with pebbles and circular stone paving. Rear garden 17m x 5.56m (maximum measurement) with south east aspect, easily maintained, raised deck and extensive Sandstone paving. Outside tap and lighting. Double garage / Workshop 6m x 5m, plumbed for washing machine, fluorescent lighting and workbench. Access to laneway.